We aim to make our audience (re)discover classical and somewhat less classical pieces of different musical epochs. Meet Clarke, Händel, Offermans, Strauss and many more composers on our musical journey! We play piccolos, flutes, altos and bases. Furthermore, you will hear less common percussive sounds and other effects that give our interpretations a whole new dimension. 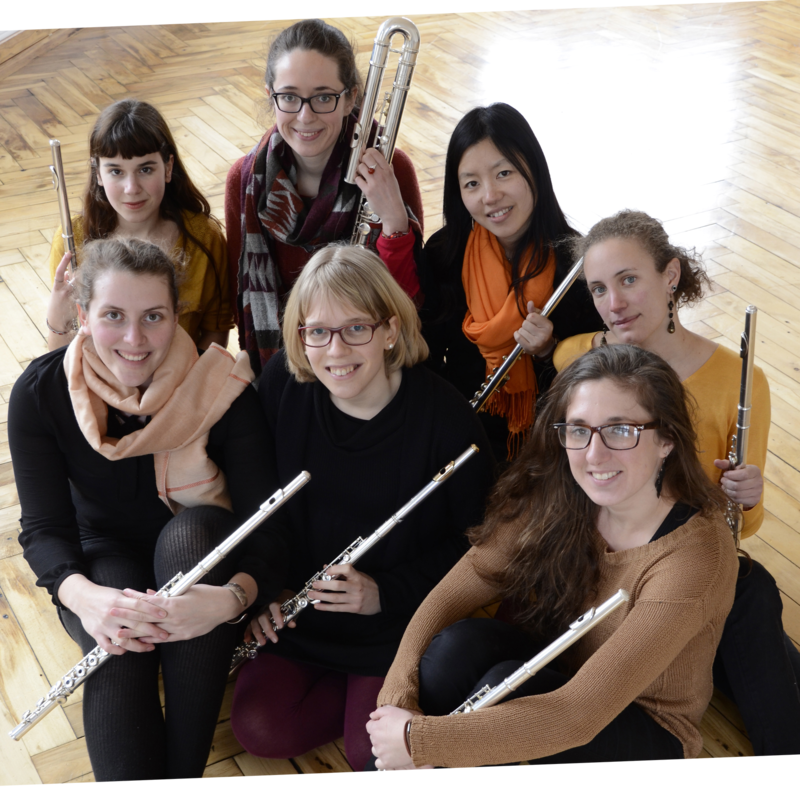 Our program contains works that have originally been composed for flute ensemble as well as arrangements for our instrumentation. The diversity of the flute sound, achieved through playing different instruments or applying different instrumental techniques, is the core of our concerts. Our varied program represents our different characters and is the result of our common passion for music.